It is a sad fact of life that some people are good with money and others just aren’t. We’ve all got that one friend who always seems to be able to buy what they need and yet also has savings and, as far as we can tell, no debt. Whereas we always struggle to make it through to the end of the month and never seem to have any spare cash for anything. Most of us have no real idea where our money goes: in fact it’s often all committed even before we get it. The only way to turn this situation round is to make a budget. It will take time and effort but will be worth it. First of all you need to make a list of every item of expenditure that you have each month. Include all your bills (mortgage or rent, Council Tax, energy, water, phone/TV/broadband etc) then any loan or credit card payments, transport, food – everything. Then make a list of all the income – money – that you have coming in every month. Include salary/wages, any benefits, and any other money from anywhere else. What you then need to do is ensure that there is enough money on the income list to cover everything on the expenditure list. Ideally more, because that then means you can save money (see point 4 below). If there is not enough income to cover your expenditure then you have a problem because you are going to get more and more into debt each month. It is tempting to be ostrich-like about this: bury your head in the sand and pretend it doesn’t exist, but the sooner you face it the sooner you will start getting out of trouble. Continuing on the budget theme, it is not enough just to make a budget on paper, but you need to test it out in reality. You need to begin recording how much you are actually spending day by day. If the numbers are not adding up then you need either to reduce your expenditure or increase your income – preferably both – to get out of the state you are in. There is further advice on how to do this in our article The 50/20/30 Rule The Less Painful Way To Stick To A Sensible Budget. But the main battle you need to win is in your head. 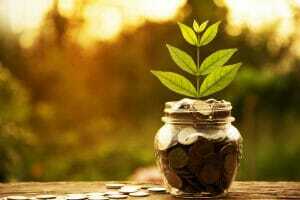 To get your finances completely under control you need to be determined to make the changes – some perhaps significant ones – that will get you back on the right track again. Let’s be clear. If you have any kind of debt then it is really important to keep up with your repayments. If you miss payments, or are late making payments, then this can result in you getting a poor credit record which will make lots of financial options more difficult for you in future. Paying off debts must be your number one priority. Also be aware that if you are only paying off the minimum payment each month on credit cards and some types of loan, then all you are likely to be doing is paying off the interest that you are being charged. You are not actually reducing your overall debt at all. So if at the same time you are also still using credit cards, you are sliding further into debt. Be particularly careful about using credit cards the same way you use debit cards: credit cards are not real money, they are just more debt. If you are in the situation where you have lots of different credit card debts, it may be better to take out a short term loan to consolidate these into one manageable monthly payment. You will be able to keep track of what you are doing and can make extra payments into the loan whenever you are able to do so, to reduce the overall debt. Recent research by The Skipton Building Society indicated that at least a quarter of people in the UK have no savings. Savings provide you with a financial safety net in case of any kind of emergency – as well as enabling you to spend money on something special should the need arise. It is a good idea to build up a bit of savings – aim for one month’s salary – as an emergency fund, then leave that money untouched while you focus on paying off your debts. Once your debts become more manageable then start the savings process again. Saving can be hard, so one way of looking at it can be to set up a separate savings account and pay a bit of money into it each month, treating the payment exactly the same as any other bill. Try and have a savings account that is not too easy to take money out of: yes you want to be able to access it in case of emergency but not treat it just as an extension of your main bank account. It is also never too early to start saving for retirement. If your company has a pension scheme it is usually worth joining this as your employer will then make pension contributions over and above those you make yourself. Try to get into the habit of saving for the future now, and you will not regret it when the time comes for your retirement. There’s a lot of truth in the old saying look after the pennies and the pounds will take care of themselves. To really get on top of your finances you need to watch it constantly. If you are spending money on anything out of the ordinary, check whether you really need it and whether you can actually afford it. If you are not sure then wait a couple of days before making a final decision. Also make sure you don’t waste money. Always look around for a bargain or the best deal – whether for something you are buying or for a supplier such as your energy provider. Always be on the lookout to save money. Check your bank statement regularly to make sure there are no errors and keep your eyes open for better deals on bank accounts. There are often incentives for switching accounts and you may be able to switch to an account with better benefits or less charges. The overall message is to make managing your finances an integral part of your day to day life. Be aware of how things are and nip any problems in the bud before they have a chance to grow out of proportion. We hope that by being aware of these mistakes you will be able to avoid them from now on and start getting on top of your finances once and for all. Check back here soon for more help and advice and money saving ideas from LoanPig.